← Full Lineup for KCON NY is Revealed! We have to say, the Eat Show was one of the most fun, well organized tasting events we’ve ever been too! Last year, we were lucky enough to attend and were not disappointed! All the vendors and restaurants came ready to please the finicky palates of LA foodies and the Instagram-famous, showing off their most popular dishes in an easily shareable manner. This year is gearing up to be every better than last year! On May 13th (this Saturday! ), there will be two sessions to enjoy! Lunch (11AM-3PM) or Dinner (5PM-9PM) tickets are available and are $60.00 each online (with a $2.50 service fee), but that gives you accesss to over 50 different vendors and restaurants and unlimited trips to the open bar, hosted by Jim Bean this year. Of course, this means that the event is 21 and over, which is a good thing if you want an excuse to enjoy a unique night out away from the little ones, or grab a drink and taste a multitude of different plates with your closest buddies! Some of our favorite eateries that will be in attendance include, Bibigo, Halal Guys, Okamoto Kitchen, Street Churros, Seoul Sausage, and White Rabbit! 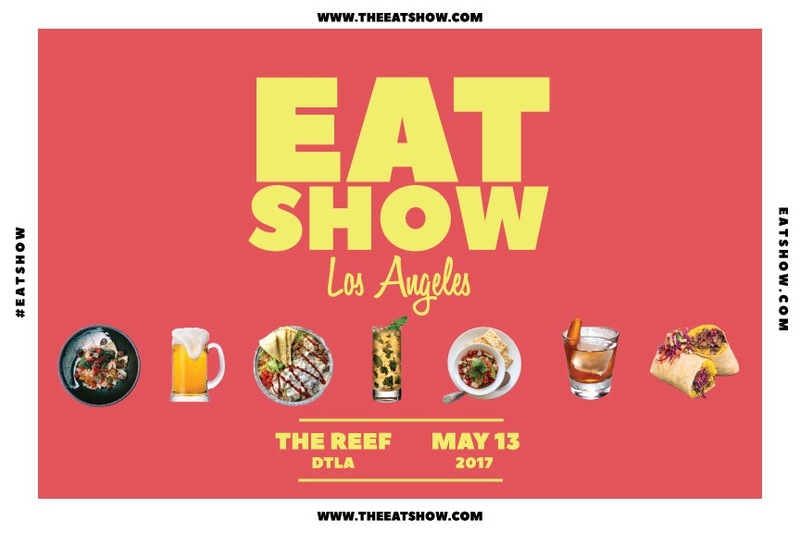 Eat Show will return to Reef in Downtown, LA (1933 S. Broadway Ave.), a really nice and spacious spot that served as it’s home last year as well. We hope your tastebuds enjoy the event!